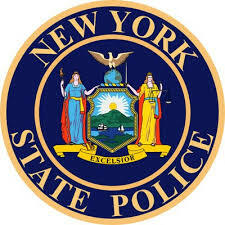 On November 12, 2018 at 5:39 p.m., New York State Troopers responded to a collision on State Highway 31 in the town of Murray. Further investigation revealed that Jared E. Thompson, 27 of Albion, NY, a member of the Fancher Murray Hulberton Fire Company, was traveling east bound on State Hwy 31. Thompson was operating a 2005 Chevy Silverado with his blue volunteer fire department lights activated while responding to a call. Thompson failed to observe a 1995 International truck traveling east bound on State Hwy 31 and struck its rear end. Thompson was transported by Mercy Flight to Strong Memorial Hospital for multiple injuries. The Bureau of Criminal Investigation assisted in this investigation.